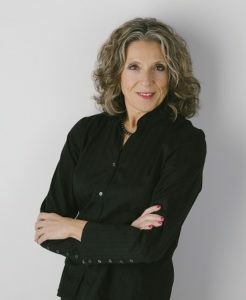 Pam Popper is the founder and President of Wellness Forum Health. The company offers educational programs to both consumers and providers that facilitate informed medical decision-making, diet and lifestyle intervention, and improved long-term health outcomes. Through its own network of providers, Wellness Forum Health offers direct-to-consumer healthcare services. Pam serves on the Physician’s Steering Committee and the President’s Board for the Physicians’ Committee for Responsible Medicine in Washington D.C. Pam was one of the health care professionals involved in the famed Sacramento Food Bank Project, in which economically disadvantaged people were shown how to reverse their diseases and eliminate medications with diet. Pam served as part of Dr. T. Colin Campbell’s teaching team at eCornell, teaching part of a certification course on plant-based nutrition. She has been featured in many widely distributed documentaries, including Processed People and Making a Killing and Forks Over Knives, which played in major theaters throughout North America in 2011. She is one of the co-authors of the companion book which was on the New York Times bestseller list for 66 weeks. She is also the author of Food Over Medicine: The Conversation That Can Save Your Life. Her most recent films are Food Choices and Diet Fiction, and she co-authored the companion books for both films. Pam is also a public policy expert, and continually works toward changing laws that interfere with patients’ right to choose their health provider and method of care. She has testified in front of legislative committees on numerous occasions, and has testified twice in front of the USDA’s Dietary Guidelines Advisory Committee. Pam is a straight-talking professional who is not afraid to criticize national health organizations, government agencies, medical professionals, pharmaceutical companies, agricultural organizations and manufacturing companies, many of whom have agendas and priorities that interfere with distributing truthful information and promoting public health.